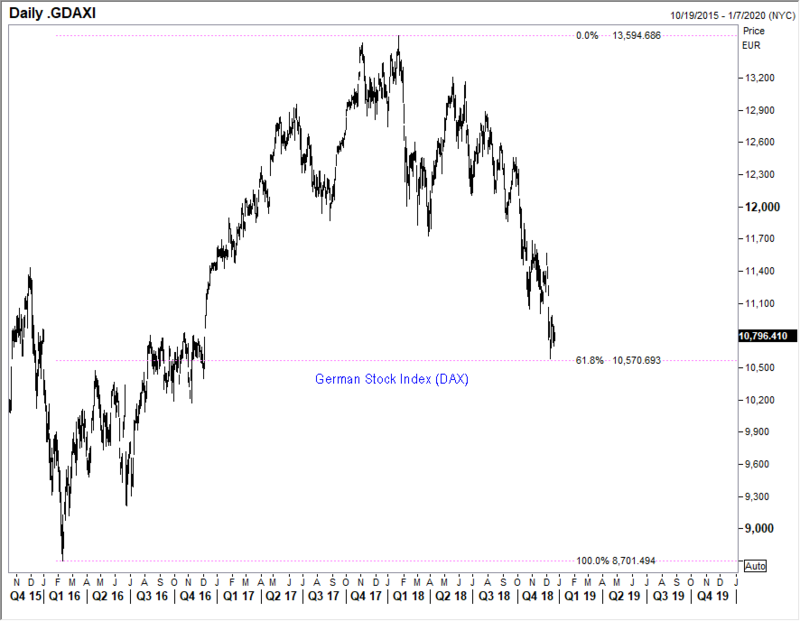 German Dax Bang on 61.8% retracement...euro bullish? The German stock index (DAX) has a positive correlation with EUR/USD. Note the decline of DAX bang on the 61.8% retracement level (lots of equity markets near key levels based on Fibs). A rally here in DAX is euro bullish.